This is definitely my favorite email of the week! I know there are plenty of people who would really love to buy some of this stuff. 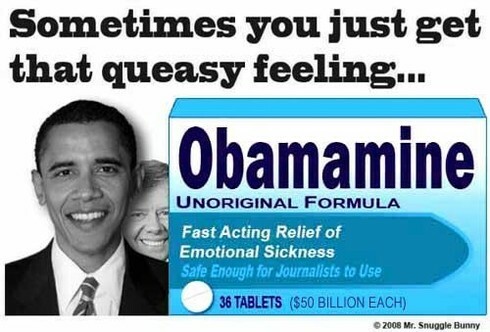 I need to take some just to watch the news these days! "The government is like a baby's alimentary canal, with a happy appetite at one end and no responsibility at the other." Be sure to keep this in mind on election day by voting only for responsible candidates - those who are accountable to their constituents. Arizona State Representative Russell Pearce is facing some tough opposition as he runs for AZ State Senator of District 18. As a State Representative, Pearce has been one of Arizona's leaders in the fight against illegal immigration. In fact, Pearce was the force behind Arizona's landmark employer-sanctions law, which requires employers to verify legal status and severely punishes those who hire illegals. Now the pro-illegal loons are trying to punish Pearce for doing his job and representing the interests of his constituents. And it's not just the open borders crazies that are attacking Pearce. Even some other Republicans are trying to keep Pearce from being re-elected... like AZ Congressman Jeff Flake who sponsored his very own amnesty bill last year. Apparently, Flake is pushing to get his immigration lawyer brother-in-law, Kevin Gibbons elected to this AZ Senate seat instead. Gibbons has apparently taken alot of money from those who support the illegal workforce. Pearce has endorsements from Sheriff Joe Arpaio and County Attorney Andrew Thomas, both of whom have also fought hard against illegal immigration. But that's not enough. Russell Pearce needs our support. The ugly reality is that money may buy this Senate seat. Pearce is running as a publically-financed Clean Elections candidate, while Gibbons will likely enjoy donations from many of his brother-in-law, Jeff Flake's donors (not to mention the open borders crowd). Hopefully the will of the people, rather than the almighty dollar will decide this election. The people of Arizona need more elected officials like Russell Pearce fighting for us. And to Congressman Jeff Flake who is running for his 5th term after promising voters he would limit himself to 3 terms... and who has stayed in office by default in somewhat unchallenged elections... please stop being such a 'Flake'. SUPPORT RUSSELL PEARCE FOR ARIZONA SENATE! My favorite email this week offers a good explanation of how Democrats will screw up our economy if we elect Obama, especially if we also re-elect our Democratic Congress. Enjoy! "Once upon a time, on a farm in Virginia , there was a little red hen who scratched about the barnyard until she uncovered quite a few grains of wheat. 'Then I will do it by myself,' said the little red hen, and so she did. The wheat grew very tall and ripened into golden grain. 'Then I will do it by myself,' said the little red hen, and so she did. At last it came time to bake the bread. 'Who will help me bake the bread?' asked the little red hen. 'If I'm to be the only helper, that's discrimination,' said the goose. And they all painted 'Unfair!' picket signs and marched around and around the little red hen, shouting obscenities. But her neighbors became quite disappointed in her. She never again baked bread because she joined the 'party' and got her bread free. And all the Democrats smiled. 'Fairness' had been established. Individual initiative had died, but nobody noticed; perhaps no one cared...so long as there was free bread that 'the rich' were paying for. Bill Clinton is getting $12 million for his memoirs. Hillary got $8 million for hers. That's $20 million for the memories from two people, who for eight years, repeatedly testified, under oath, that they couldn't remember anything. IS THIS A GREAT BARNYARD OR WHAT?" Here's a funny IRS joke I received by email. Enjoy! Ralph removes his glass eye and bites it. Now the auditor can tell Ralph isn't blind, so he takes the bet. Ralph removes his dentures and bites his good eye. Ralph stands beside the desk and unzips his pants, but although he strains mightily, he can't make the stream reach the wastebasket on the other side, so he pretty much urinates all over the auditor's desk. The auditor leaps with joy, realizing that he has just turned a major loss into a huge win. But Ralph's attorney moans and puts his head in his hands. 'Not really,' says the attorney. 'This morning, when Ralph told me he'd been summoned for an audit, he bet me twenty-five thousand dollars that he could come in here and piss all over your desk and that you'd be happy about it.. 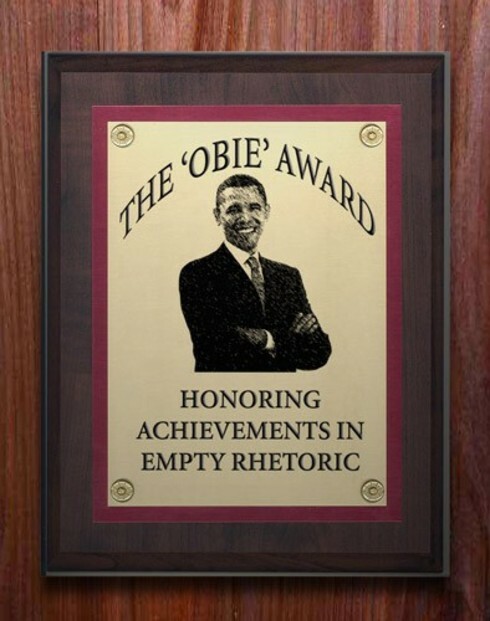 This is classic...click below to view a video on "Change" that even Democrats can laugh at! Should I Vote Democrat or Republican? Be Careful How You Vote! This is my favorite email of the week. And with the 2008 Presidential election right around the corner, this story has two great lessons we should all definitely remember! Come winter, the shivering grasshopper calls a press conference and demands to know why the ant should be allowed to be warm and well fed while others are cold and starving. CBS, NBC, PBS, CNN, and ABC show up to provide pictures of the shivering grasshopper next to a video of the ant in his comfortable home with a table filled with food. America is stunned by the sharp contrast. Kermit the Frog appears on Oprah with the grasshopper, and everybody cries when they sing, "It's Not Easy Being Green." Jesse Jackson stages a demonstration in front of the ant's house where the news stations film the group singing, "We shall overcome." Jesse then has the group kneel down to pray to God for the grasshopper's sake. Nancy Pelosi & John Kerry exclaim in an interview with Larry King that the ant has gotten rich off the back of the grasshopper, and both call for an immediate tax hike on the ant to make him pay his fair share. The ant is fined for failing to hire a proportionate number of green bugs and, having nothing left to pay his retroactive taxes, his home is confiscated by the government. Hillary gets her former employer, the Rose Law Firm, to represent the grasshopper in a defamation suit against the ant, and the case is tried before a jury comprised of single-parent welfare recipients. The ant loses the case. The ant has disappeared in the snow. The grasshopper is found dead in a drug related incident and the house, now abandoned, is taken over by a gang of spiders who terrorize the once peaceful neighborhood. MORAL OF THE STORY: Be careful how you vote. First of all, let's get one thing totally clear...SCHIP is a SHAM. SCHIP is not about insuring children and poor people. It's a farce - the Democrats are USING CHILDREN and POOR PEOPLE to gain support for a bill they know would otherwise be overwhelmingly opposed (Remember the Amnesty bill - HELLO?). SCHIP is really a step towards socialized medicine, and an attempt to give free health care to illegal aliens. Call your Senators and Congressmen - or you'll be paying for this free illegal alien healthcare before you know it. And when you get old, you yourself will find yourself with no Medicare. Since we can't afford to give healthcare to everybody, the Democrats have decided that illegal aliens are more deserving of free healthcare than hard-working American senior citizens who have spent their entire lives paying into a corrupt, sham system that promised them something in return. Below is another email I received from Congressman John Shadegg. This really is a sad day for America. Last night I witnessed something I never thought possible on the floor of the U.S. House. Below is the press release I issued about it. WASHINGTON , D.C. - House Democrats last night overruled a clear vote showing that the Republican Motion-to-Recommit on the Agriculture Appropriations bill had passed. Democrats ruled, instead, that the motion failed. With the vote total boards at each end of the House Chamber clearly showing the Republican motion prevailing by a vote of 215 to 213 and the word "FINAL" displayed beside that count, the Democrat Chairman gaveled the vote closed, announcing the Republican motion had failed on a 214 to 214 tie. "I have been here almost 13 years and I thought I had seen it all, but tonight's display of corrupt, raw, partisan political power was stunning," said Rep. John Shadegg (AZ-03). "I honestly didn't think this could happen in America. This is a sad day for the U.S. House and a tragic day for our nation." Following a protracted period of chaotic protest and procedural w rangling, Democrats altered the displayed vote total two more times. However, when Democrats refused to acknowledge their abuse of power and accept the passage of the motion, Republicans walked out en masse in protest. "If my vote doesn't count, what point is there in voting?" Shadegg said. "I owe it to my constituents and to this nation to demand integrity and fairness in the operations of this institution." On Wednesday night the Democrats in the U.S. House passed a massive expansion of the State Children's Health Insurance Program (SCHIP). The expansion allows states -- even encourages them - to provide coverage to ADULTS, including CHILDLESS adults. A bill which will extend SCHIP funding beyond the working poor -for which the program was intended - to not just middle income families making more than $45,000 a year, but also to upper middle income Americans making $60,000 to $80,000 a year. And the bill has no asset test, so the children of the richest Americans could be eligible. To pay for their expansion of coverage beyond just the uninsured children, the Democrats cut spending for the Medicare Advantage program. It would eliminate coverage for 3 million seniors across America (more than 50,000 in Arizona alone). The Democrats rushed this through Congress in barely 8 days, with no committee hearings, no Republican amendments and only three hours of debate on the floor. To try to hold the Democrats accountable, on the day before the vote Republicans attempted to discuss the problems with the Democrat's SCHIP bill while debating the Department of Agriculture appropriations bill. The Democrats were none too happy about this maneuver. And, it actually was a lot of fun to use floor procedure to engage in the debate. Below you will find my floor remarks and my back and forth with Rep. Jesse Jackson Jr. and the Chair as I point out the flaws in the Democrat's SCHIP bill in the context of my support for a cut in the Agriculture appropriations bill. Mr. SHADEGG. I rise in strong support of the McHenry amendment to reduce the budget of the Office of the Secretary by $101,000. The reason I support that amendment is because I do not support cutting the Medicare Advantage program by billions of dollars and hurting seniors. Mr. JACKSON of Illinois. Point of order. The Acting CHAIRMAN. The gentleman from Illinois will state his point of order. Mr. JACKSON of Illinois. Madam Chairman, the majority has accepted the McHenry amendment and the minority continues to engage in irrelevant debate. The Acting CHAIRMAN. The gentleman from Arizona has confined his remarks to the pending amendment. The gentleman may proceed. Mr. SHADEGG. Thank you. I would rather cut the Secretary's budget by $101 billion as a way to save money than to cut the Medicare Advantage program because the Medicare Advantage program helps millions of Americans and thousands in my own congressional district. So as the Democrats propose to cut that program in their SCHIP bill, I believe it would be better to cut this program. I rise in support of the McHenry amendment to cut $101,000 from the Secretary's budget because the Medicare Advantage bill will cut 3 million seniors' ability to collect their benefits through Medicare Advantage. That 3 million includes some of the poorest of seniors who are on Medicare Advantage, and I would rather cut $101,000 from the Secretary's budget than cut that money going to Medicare seniors who need it desperately. I support the amendment by the gentleman from North Carolina (Mr . McHenry) to cut $101,000 from the budget of the Secretary of Agriculture because the other cut we are faced with is a $15 billion cut in part A, including a cut in benefits to skilled nursing facilities, as the Democrats propose to do in their SCHIP bill. The Acting CHAIRMAN. The gentleman will suspend. The gentleman from Illinois will state his point of order. Mr. JACKSON of Illinois. The majority has accepted the McHenry amendment and the minority continues to engage in irrelevant debate about the SCHIP program in another bill for another day. The Acting CHAIRMAN. The gentleman from Arizona must confine his remarks to the pending question. The Acting CHAIRMAN. The gentleman may state his parliamentary inquiry. Mr. SHADEGG. I presume I can state my reason for supporting the amendment; is that correct? The Acting CHAIRMAN. The gentleman must keep his remarks to the pending question, and there must be a nexus between the pending question and broader policy issues. Mr. SHADEGG. And I will continue to say that a $15 billion cut in skilled nursing facilities is, from my perspective, a bad idea, much worse than a $101,000 cut from the Secretary's budget. And, therefore, I rise in strong support of the McHenry amendment because I don't want to see skilled nursing cut as the Democrats propose to do in their SCHIP bill. I support the McHenry amendment which would cut $101,000 from the Secre tary's budget because I don't support cutting rehabilitation facilities as the Democrats would do in their SCHIP bill. Indeed, I would much prefer to cut $100,000 from the Secretary's budget than to cut, as the Democrats do in their SCHIP bill, rehabilitation facilities. Mr. JACKSON of Illinois. Madam Chairman, the majority has accepted the McHenry amendment and the minority continues to engage in irrelevant debate about a piece of legislation that will come up in a few days. We are discussing the Agriculture appropriations bill. The Acting CHAIRMAN. The gentleman must confine his remarks to the pending question. Mr. SHADEGG. As I believe I have, quite skillfully. I do rise in very strong support of the McHenry amendment because I believe that cutting the Secretary's budget is a much better idea than cutting skilled nursing facilities. I believe it is a much better idea than cutting long-term hospital facilities, as the Democrats do in their SCHIP bill. And I think it would be much better to cut $100,000 from the Secretary of Agriculture's administrative budget than to cut, as the Democrats do, funding for long-term care by hospitals. It seems to me this is a simple debate: Where do we cut? I would much rather cut $100,000 from the budget of the Office of the Secretary than to cut $9 billion from Medicare plan B, including payments for oxygen, as the Democrats do in their SCHIP bill. It seems to me that kind of cut in their SCHIP bill is a bad idea. I would rather support the gentleman's amendment. Mr. JACKSON of Illinois. Madam Chairman, the gentleman sounds like a broken record. The majority has accepted the McHenry amendment and the minority continues to engage in irrelevant debate. Mr. JACKSON of Illinois. The majority has accepted the McHenry amendment, and the minority continues to engage in irrelevant debate. The Acting CHAIRMAN. Is the gentleman making a point of order that the debate is irrelevant? Mr. JACKSON of Illinois. I am making the point of order that the debate is absolutely irrelevant. The Acting CHAIRMAN. The gentleman is correct. The gentleman from Arizona mu st confine his remarks to the pending question. Mr. SHADEGG. Madam Chairman, I seek a clarification. What was the ruling of the Chair? The Acting CHAIRMAN. The point of order is correct. The gentleman from Arizona must confine his remarks to the pending question. The Acting CHAIRMAN. The pending question is the amendment by Mr. McHenry of North Carolina to the amendment by the gentleman from Georgia. That is the pending question. Mr. SHADEGG. And I thank the Chairman for her ruling, and I am pleased to say that each of my points have tried to explain that I support, adamantly support the amendment by the gentleman to cut $100,000 from the Secretary's budget because I don't favor these other cuts. I don't favor cutting the funding for end-stage renal disease programs. I would much rather cut the Department of Agriculture ad ministrative budget than do as the Democrats would in their SCHIP bill, cut $3.6 billion from the end-stage renal disease program. It seems to me that the amendment of the gentleman from North Carolina to cut $100,000 from the administrative budget of the Secretary is a much-preferable method to achieve the savings that we need. In each of these instances, I believe that cutting the Secretary's budget would make much more sense than cutting the Medicare program. I have constituents in my district who would much rather see us cut the Ag budget than see us cut Medicare or see us cut end-stage renal disease or than see us cut oxygen therapy as is all done in the Democrats' SCHIP bill. For all of those reasons, I believe it is very important that we support the gentleman's amendment. The Acting CHAIRMAN. The gentleman fr om Illinois may state his point of order. Mr. JACKSON of Illinois. The minority continues to engage in irrelevant debate. Mr. SHADEGG. There is nothing irrelevant about it. The Acting CHAIRMAN. The gentleman from Arizona will suspend. Does the gentleman make a point of order that the debate is irrelevant? Mr. JACKSON of Illinois. I make the point of order that the debate is irrelevant. The Acting CHAIRMAN. The gentleman is correct. The gentleman from Arizona must confine his remarks to the pending question. Mr. SHADEGG. I appeal the ruling of the Chair. The Acting CHAIRMAN. The question is: Shall the decision of the Chair stand as the judgment of the Committee? The question was taken; and the Acting Chairman announced that the ayes appeared to have it. Mr. SHADEGG. Madam Chairman, I demand a recorded vote. Mr. SHADEGG. Madam Chairman, I have a parliamentary inquiry. The Acting CHAIRMAN. The gentleman will state his parliamentary inquiry. Mr. SHADEGG. As I understand the ruling of the Chair, it is appropriate for me to say I support the gentleman's amendment because I do not support cuts in skilled nursing facilities or cuts in rehabilitation facilities or cuts in long-term care hospitals or cuts in oxygen, or cuts in brachytherapy, or cuts in end-stage renal disease or cuts in Medicare Advantage; but that I cannot say which appear in their SCHIP bill. Is that correct? The Acting CHAIRMAN. It is permissible to identify as preferable an alternative object for funding. It is not permissible to dwell on the merits of that alternative object. Mr. SHADEGG. I thank you very much for your ruling. Madam Chairman, I do rise in support of the gentleman's amendment. I believe that we have to find the funding necessary for essential government programs and that cutting the Secretary of Agriculture is much better than cutting such programs as skilled nursing facilities, rehabilitation facilities, long-term care hospitals, oxygen under Medicare, brachytherapy under Medicare, end-stage renal disease funding under Medicare or Medicare Advantage. For those reasons, I rise in strong support of the gentleman's amendment. Madam Chairman, I yield back the balance of my time.